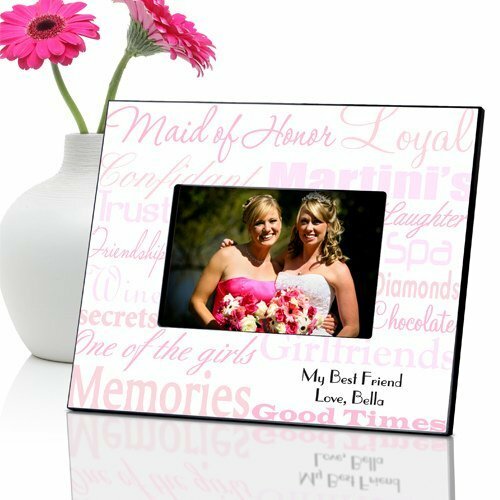 You couldn't live without her, so give her a gift to thank her for standing beside you on your wedding day! 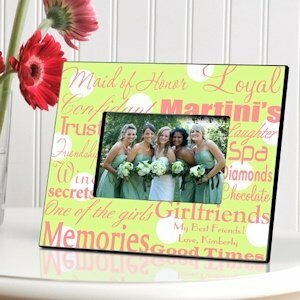 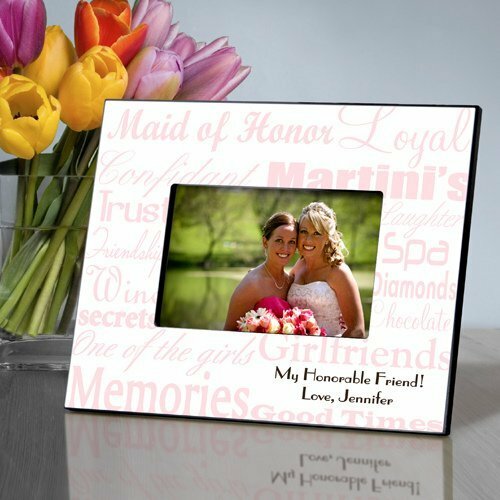 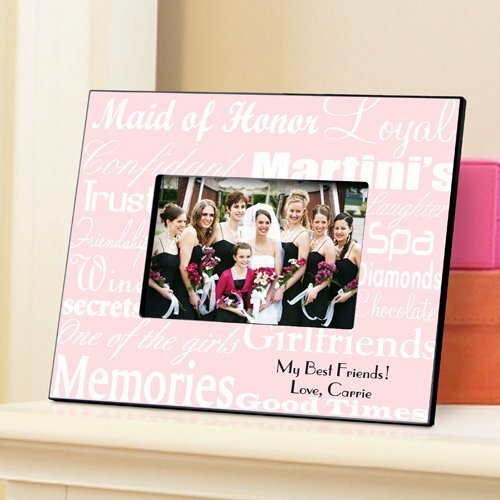 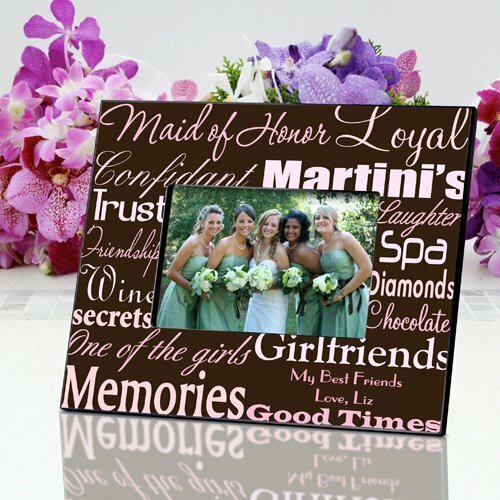 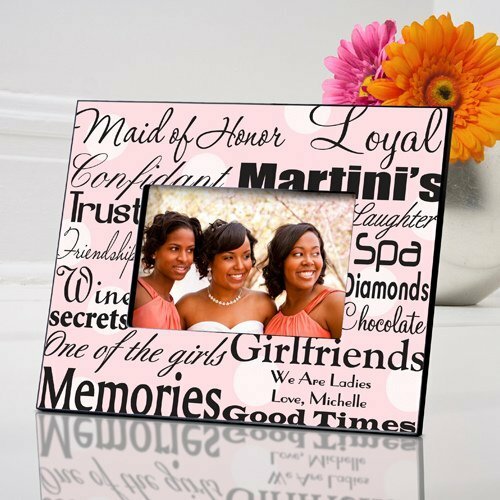 This 8" by 10" personalized maid of honor picture frame holds a 4" by 6" photo, and is surrounded by phrases that remind you of your Maid of Honor - such as Loyal, Confidant and Girlfriend. 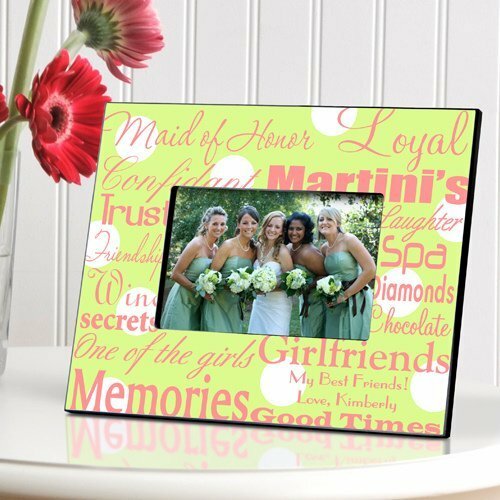 The upper left corner will display the words "Maid of Honor" and the lower right corner has room for 2 lines of personalization (up to 20 characters per line). 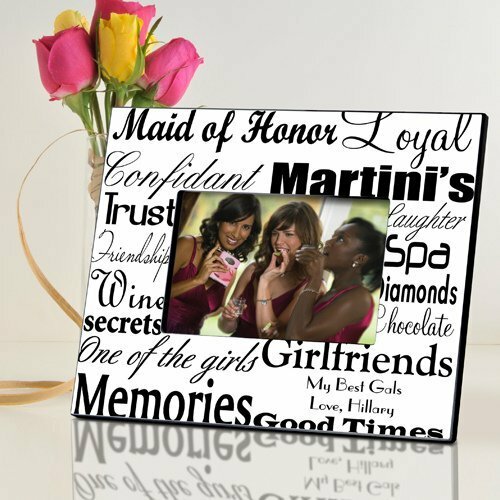 This gift will bring back fond memories of the fun the you two have shared!